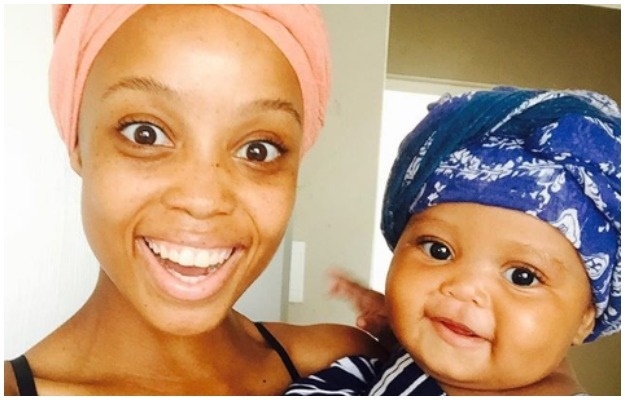 Ntando Duma’s baby, Sbahle Mzizi, is one of the many celeb tots with her own Instagram account. Besides having more followers than most of us, the 7-month-old’s bank account might also have more money than ours. In a recent interview with Metro FM, TV and radio personality Ntando explained that baby Sbahle’s Insta profile is for business reasons. “The reason I actually opened an Instagram account for her is for business stuff. She gets paid every month,” the first-time mom said. According to Ntando, Sbahle is an ambassador for Cute Kiddies, a nappy brand. “What she does is post stuff for the brand and gets paid for it. My sister (Thando Duma) and I are the ones who do the posting,” she explained. Sbahle isn’t only raking it in from being a brand ambassador, she’s a model too. When she was just three months old she modelled at South African Fashion Week. With so much going on, cute-as-a-button Sbahle might just be talking money before she actually learns to talk.